Finance professor John Griffin, along with his doctoral student companion, Amin Shams, were the two academics that drew market-moving conclusions about bitcoin last year, while the digital currency was trading around $20,000. After sifting through 2 terabytes of trading data, they alleged that bitcoin was being manipulated by someone using the cryptocurrency Tether to purchase it. Tether remains a relatively little-known crypto, which is pegged to one US dollar. Part of its appeal is that it can "stand in" for dollars when necessary, according to Bloomberg. Griffin and Shams authored a paper in June, with the results of their findings ultimately catalyzing many digital assets to move lower, despite the fact that the CEO of Tether publicly denied that its currency was used to prop up bitcoin. Griffin works at the University of Texas at Austin, and has become quite an unpopular figure on Wall Street for similar work he has done in the past on ratings companies, the VIX and investment banks. In most of his findings, he claims that these well-known financial instruments and players are, in one way or another, rigged. And the professor seems to enjoy exposing precisely that: rigged, manipulated markets and shady players. "I not only want to understand the world, but make it better," he told Bloomberg. Griffin's work has become popular reading within the DOJ and the Commodity Futures Trading Commission, according to Bloomberg. These regulators – many of them low on resources, time and staff - welcome any additional help they can get (the SEC’s budget has forced it into a hiring freeze and the CFTC budget was cut by Congress in March of this year). John Reed Stark, a former attorney in the SEC’s enforcement division, stated: “It’s incredibly helpful to have an expert of Griffin’s caliber." In 2017, Griffin's work revealed that one or more market participants had been trading S&P 500 options in a way to artificially boost or depress the VIX, which would then have an impact on VIX futures. They argued that the volume of S&P 500 options would spike suspiciously at times, but only in the contracts that were used to help price the VIX. He claimed these trades simply didn’t make sense unless somebody was trying to manipulate the VIX. And he’s not buying the explanation given to him by the CBOE: “There is no doubt we understand how the market works,” he said. As a result, the CBOE has been sued many times over for this supposed manipulation. Meanwhile, Griffin says he’s not going to work with any individual plaintiffs, but he does not rule out the possibility that he may work as a consultant in the future. Every time he publishes a new paper, he gets more attention. 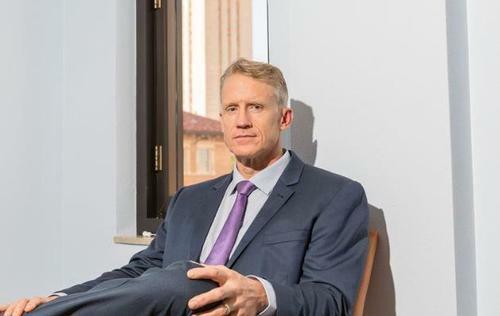 His paper on the alleged bitcoin manipulation has been downloaded more than 20,000 times and was cited by the SEC when the regulator rejected a bitcoin ETF that would have made it easier for retail investors to trade the crypto. And as he continues to expose one fraud after another, Griffin - unlike Goldman - is truly doing God's work.